Fracnciscan Clarist Congregation (FCC) is the fulfilled dream of eight devout women belonging to the Franciscan Third Order fraternity of Pala, to lead a genuine Franciscan Way of life rooted in the Gospel. The FCC flourished as independent units in various dioceses of Kerala including the Malabar Region. Thalassery Province was branched out from Pala Province. The first Convent in Malabar was started on 13/06/1956 many houses were established throughout Malabar. It was on March 19th 1986 this little mustard seed grow and St. Mary's Vice Province Mananthavady was born as the 1st born child of the Mother Province.The first Vice Provincial Superior was Rev. Mother Villanova and the team members were Rev. Mother Oswald, Rev. Mother Veronica Maria, Rev. Sr. Jane Maria and Rev. Mother Sinclare, the present Mother General.The Vice Province had 13 houses 180 members 4 novices and 4 postulants. 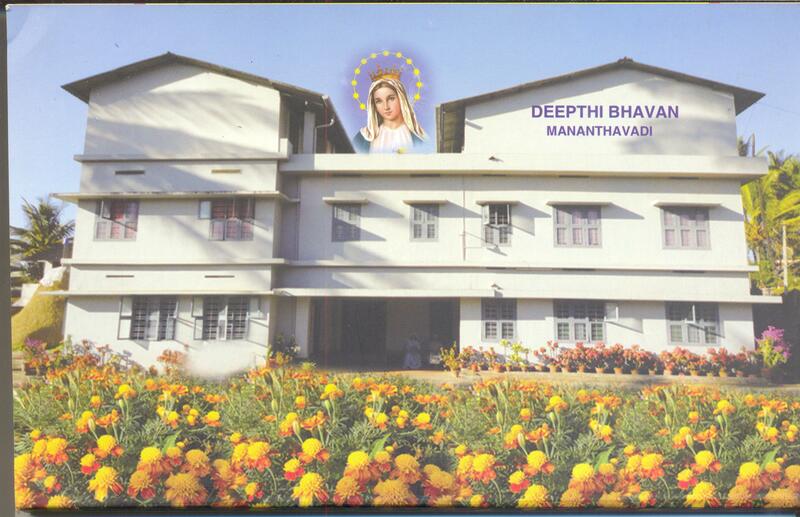 The Convent at Dwaraka was the temporary Provincial house which was shifted later to Mananthavady on January 24th 1986. The General Synaxis held on 4th - 8th of April 1995, declared the Vice Province as St.Mary's Province. The Province has at present 228 memebers and 30 houses in Kerala, 7 convents and one study house in Karanataka, two houses in Germany and one house in Italy. The first mission house was opened at Suratgarh in Rajasthan on July 28th 1988. Rajasthan mission was declared as Maria Rani region on 28th April 2007, Rev. Sr. Ancilin became the first Regional Superior. At present it has 49 members and 13 convents.